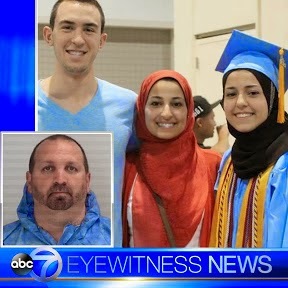 This week atheist Craig Hicks killed three Muslim students which has forced me as an atheist to write my first atheist apologetic blog. If you do not know what the term "apologetic" means or what an apologist is in cases of religion , an apologist is defined as "A person who argues in defense or justification of something, such as a doctrine, policy, or institution." Thankfully atheism is not a doctrine, policy, or institution. David Kirk is a former Christian and recently launched www.atheistfortitude.com, a website dedicated to helping other former believers who are in the process of "coming out."